Opened in 1940, the Aud was dedicated in memory of those who died in WW combat. Built for $2,700,000, it seated 12,280 until it was expanded to 16,230 to house the '70 Buffalo Sabres NHL expansion team. 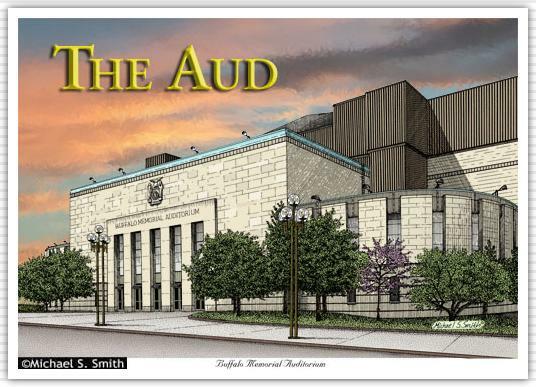 The Aud was closed in 1996.